At her office in Rialto, which serves both Rialto and San Bernardino county in California, Dr. Hedyeh M. Golshan has helped many patients who have medical and cosmetic needs. Pigmented lesions are skin growths and spots that are caused by melanocyte cells. Melanocyte cells are the cells in the skin that produce melanin, which is responsible for giving skin its pigmentation. When these cells produce too much melanin, pigmented lesions form. There are several different types of pigmented lesions. Common ones include birthmarks, freckles, moles, and age spots. Many of these are harmless, although people may want them removed for cosmetic reasons. Occasionally, these can be signs of skin cancer. Do Patients Who Have Pigmented Lesions Need to See a Doctor? Because some pigmented lesions can be a sign of cancer, people should have them checked out by a medical doctor. It’s especially important to have any abnormal or changing lesions inspected. Patients don’t necessarily need to go to the emergency room every time they notice a lesion, though. Often, patients can ask their primary care physician to check any suspicious lesions during a regular wellness exam. Any patients who have pigmented lesions that they’d like removed should, of course, see a provider who offers treatment for lesions when it’s convenient for them to do so. 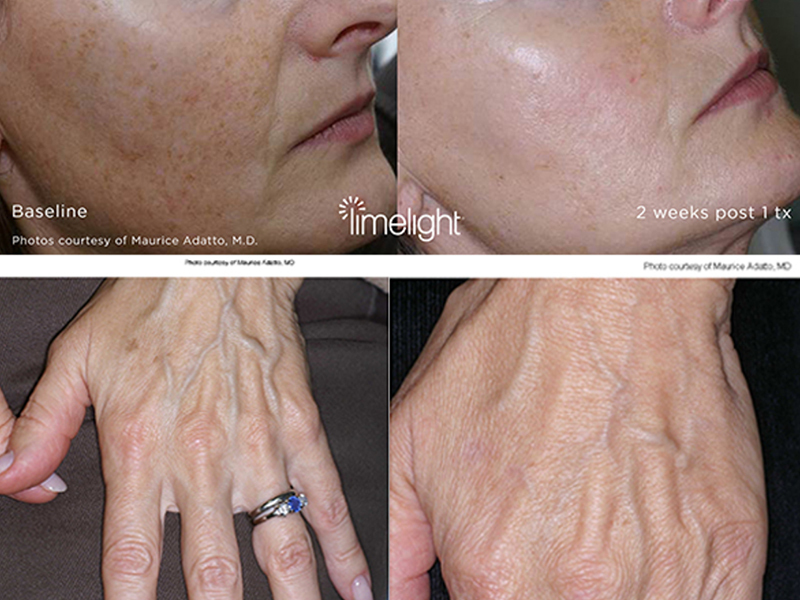 How Are Pigmented Lesions Treated? Who Offers Laser Treatment for Pigmented Lesions? A couple of different doctors offer laser treatment options for pigmented lesions. Dermatologists, who specialize in skin conditions and treatments, and internal medicine specialists, who focus on health issues that adults face, may provide treatment. Both doctors are also able to identify possibly cancerous pigmented lesions that should be tested.